Imagine you left your home to move far away. You got carried away by a wind of change and became untrue to yourself. You reinvented yourself and felt free. All of a sudden though, pressure arises within you; at first a slight longing which soon becomes a gaping hole. The feeling is distinct, almost tangible, however, you cannot describe it. Words fail you. You return to where everything began, your home, yet the terrible void remains and you begin to wonder: was it always part of me? Eine deutsche Version des Textes können Sie sich unter Press herunterladen. Noa has been living in Berlin for 8 years now. She is about to graduate from universtiy and recently moved in with her German boyfriend Jörg. Although everything should be running smoothly, she suddenly experiences a personal crisis. Noa's life is in discord; she feels misunderstood and isolated, in fact, she can hardly recognise herself anymore. As Noa's master thesis, a dictionary for non-translatable words, is deemed inadequate by her professor and Jörg goes on tour with his orchestra, Noa decides to take a break and spontaneously flies back to Israel. Just a short holiday in her homeland. Sun, food, family, speaking her own language... it's all doing her a lot of good. Suddenly Noa's grandmother is hospitalized which is the perfect excuse to extend her stay, thus suppressing the problems which await her in Berlin. But everyday life hunts her down in Israel faster than she could ever have imagined. Old resurface and new ones appear. The pressure she felt in Berlin comes to a boil, as her grandmother's condition rapidly deteriorates. Ironically she feels just as misunderstood in her homeland as she already felt in Berlin. Of all days, on Israeli National Memorial Day, Jörg has to show up, thus bringing Noa's two carefully separated worlds into collision. Even Jörg begins to doubt that they still have a chance at a future together. Will Noa somehow be able to find herself amidst this chaos? ANDERSWO tells of Noa's search for her place in life in a touching manner which combines drama and comedy. The movie is driven by its devotion to the protagonists and it casually moves the audience to contemplate universal themes such as homeland, love, language and belonging. Neta Riskin counts among Israel’s most promising new actors, commanding our attention as “Noa Guttermann”in this feature. Her excellent acting skills translate well to the silver screen – and transport the film’s story to great effect. Incidentally, her private life reveals parallels to Noa’s story: Neta herself lived in Berlin for many years, yet – unlike Noa – left her German fiancée to return to her native Israel. A place that does not quite feel like home anymore. Beyond extended stints at the theatre – a. o. at Munich’s Akademietheater, Metropoltheater and Theater Halle 7 as well as the Braunschweig Staatstheater – the actor enjoys a strong film and TV presence. In 2011, the Berlin-based actor took on the leading role of “Kasimir” in the modern adaptation of Ödon von Horváths’ “Kasimir und Karoline” (ARTE), a performance honoured with the German Film New Talent Development Award. The same year, Golo Euler accepted an ongoing starring role in ARD’s pre-primetime series “Heiter bis tödlich in Bürdringhausen” alongside Rike Schmid and Martin Lindow. Further films featuring the actor include “Zur Sache Marie” and the sequel to the popular two-parter “Der Doc und die Hexe” with Christiane Paul (SAT 1). An Israeli (stand-up) comedian and actress, Hana Laszlo is one of the best-known performers in her native country. In 2005, Amos Gitai entrusted her with one of “Free Zone”’s female leads, a drama set against the backdrop of the Middle Eastern conflict. Her performance of the hands-on Israeli taxi driver Hanna Ben Moshe, who makes her way to the title’s free trade zone near the Jordanian border alongside a young US citizen (Natalie Portman) and a Palestinian (Hiam Abbass), won Laszlo the Best Actress Award at the 58th Cannes Film Festival – despite stiff competition from established performers like Charlotte Rampling (Lemming) or Maria Bello (A History of Violence). The role of Noa’s mother “Rachel” was written especially for Hana Laszlo. Her unbridled energy, unique sense of humour and remarkable sensitivity make her the perfect match for this character. As does her biography: Hana’s native tongue is Yiddish. Ester Amrami was born in Kfar Saba, Israel, and has been living in Berlin for ten years. 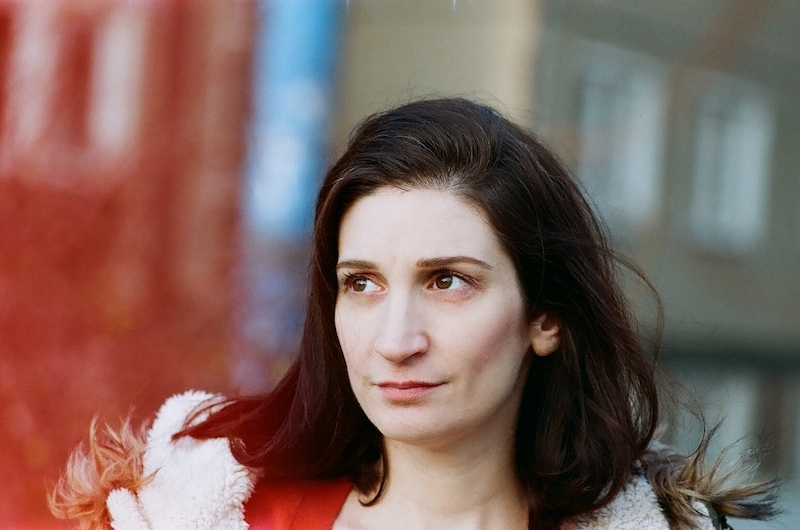 Her first short documentary „Berlin Diary“ won the competition „Gestures of Reconciliation“ donated by the Goethe Institute and led her to her studies of film directing at the HFF „Konrad Wolf“. There she directed several short films that were shown at international film festivals. Among them the „Next Generation“ programme in Cannes 2012. With her final project „ANDERSWO“ she presents her first feature length film. 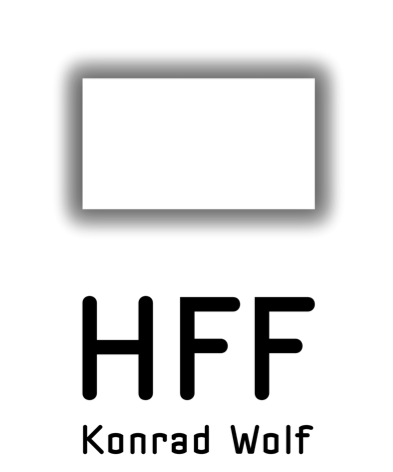 TWO MEN AND A TABLE / 2011 / HFF „Konrad Wolf“ / Short Film / Festivals: Next Generation Program 2012 at Cannes Filmfestival, Message To Man Film Festival, St. Petersburg a.o. 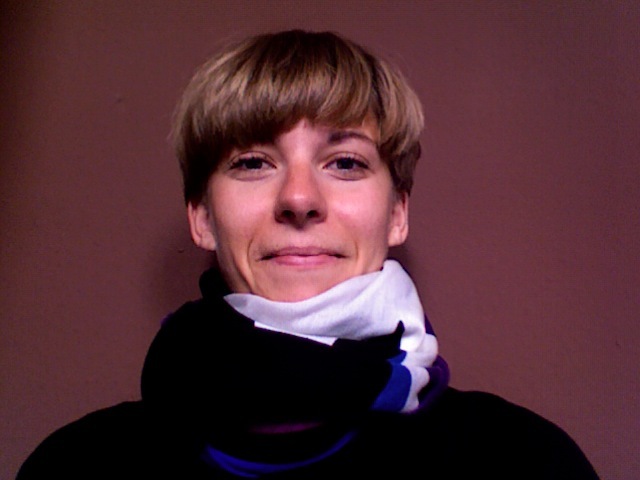 Momme Peters writes scripts, works as social worker in Berlin-Wedding and loves to play football. Johannes Praus was born in May 1983 in Dresden. 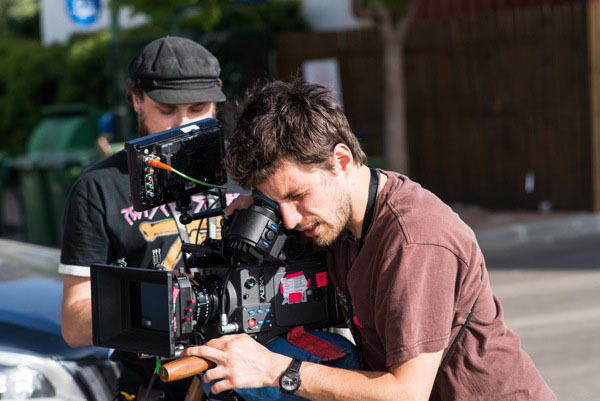 After his school years hegathered experience in film and television and then subsequently studiedcinematography. He lives in Berlin/Dresden and works as a director ofphotography for documentary- and featurefilms. Already while he was studyingcinematography in the University of Film and Television 'Konrad Wolf' inPotsdam-Babelsberg was he nominated and won several prizes for his work. In 2011he won the Kodak Film School Cinematography Award with the shortfeature'Opfer' and was nominated for the Golden Tadpole at the CamerImage FilmFestival Bydgosz. He finished his graduate studies with distinction with thedocumentary film 'nach Wriezen' and his thesis 'Keine Beziehung istunmöglich' and has begun in April 2013 as a Masters pupil ofcinematography with Professor Peter Badel at the HFF 'Konrad Wolf'. Osnat Michaeli studied cinema in "Camera Obscura art school" in Tel Aviv. She specialized in Directing and editing. Worked in the television and cinema industry in various projects since 2001. In 2009, together with Erez Galonska, she established a multidisciplinary studio in which they produce and create films, commercials and video installations. Linus Nickl works as a freelance sound designer and sound director (mix) for film, TV and advertising. 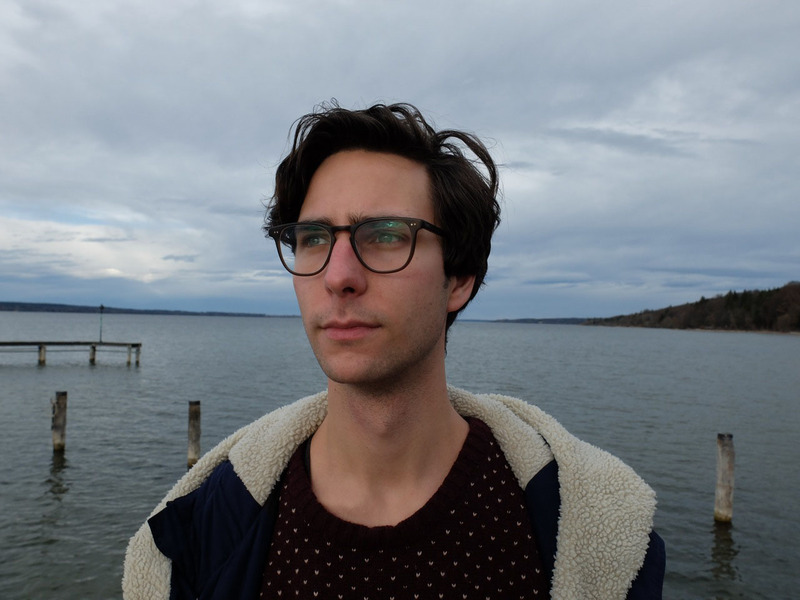 After finishing school and an audio engineering apprenticeship in Munich, Linus Nickl enrolled at the Graz University of Arts to study piano and sound engineering in 2007. The following year, his ongoing fascination with setting images to music prompted him to switch to a sound direction degree at the Film and Television University Potsdam-Babelsberg where he completed his diploma in sound direction for audio-visual media. 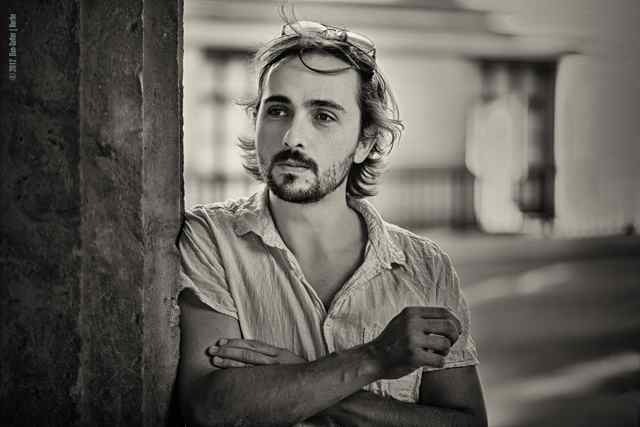 Born in Rome in 1981, Fabrizio Tentoni studied piano and composition at the Roman S. Cecilia conservatory, followed by a film score degree at the Film and Television University (2008-2012). Beyond composing film scores, Fabrizio also works as a pianist and keyboarder for both classical and pop projects. Since 2011, he has been playing with the Berlin based indie pop band Erik&Me. Laura Machutta’s first films were created as part of a media design course at Weimar’s Bauhaus University (2004). After a year abroad at the Concordia University Montreál, Canada, where she focused on film studies, photography and film production, Laura embarked on a film and TV production course at the Film and Television University “Konrad Wolf” (HFF) in Potsdam-Babelsberg. Her intermediate diploma project “HFF meets Independency & Revolution” earned her a Producer Award nomination at the 2011 Sehnsüchte Festival, while “Digame – Sag mir” won the First Steps Award 2011 in the “Best Short” category. In 2012, she attended the Berlinale talent campus. Laura Machutta finished her studies in 2013 with the feature film “Anderswo”, shot in Israel and Germany. The theoretical part of her final degree deals with the story development and financing aspects of TV productions for the international market. ALEYNA – LITTLE MISS NEUKÖLLN / 2011 / director: Stepan Altrichter & Stefan Höh / ZDF & HFF / short documentaryFestivals: Intern. Kurzfilmfestival Oberhausen 2011,IKFF Hamburg 2011, a.o. TWO MEN AND A TABLE / 2011 / director: Ester Amrami / HFF „Konrad Wolf“ / Short Film / Festivals: Next Generation Program 2012 at Cannes Filmfestival, Message To Man Film Festival, St. Petersburg a.o. Born and raised in Berlin (*1987), Johannes Frodl launched his TV and film career straight after finishing school with an internship at UFA entertainment in Potsdam where he was soon taken on as a production assistant and floor manager. Here, he gained valuable insights into the wide-ranging operations of different TV productions. After two years at UFA, Johannes Frodl decided to expand his horizon with a degree course in film and television production at the Film and Television University “Konrad Wolf”. While continuing to work as a floor manager for different TV formats and large live shows for different broadcasters, he gained his intermediate diploma for the short film “Keinschönerland”. “Anderswo” is Johannes Frodl’s diploma project. 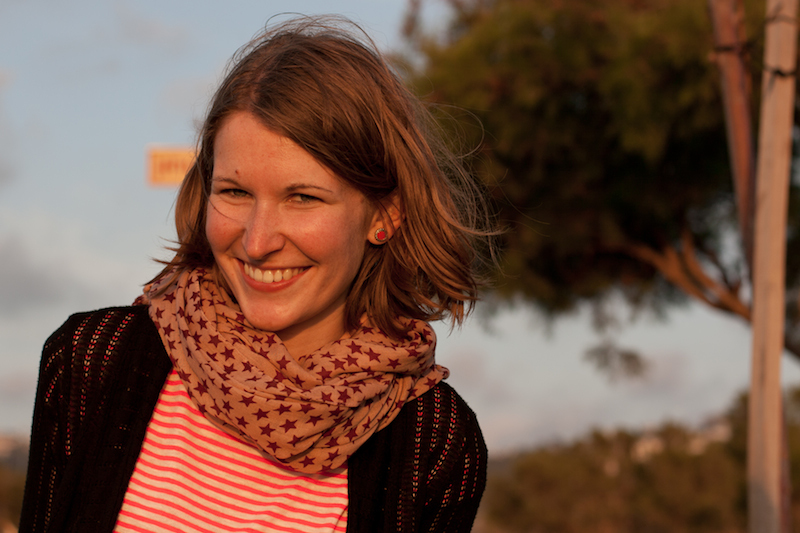 Marie-Christine Ernst has been studying film and television production at Potsdam’s HFF since 2009. Paving the way for a career in film, she had previously trained as a business administrator for audio-visual media at the international post production company “The Post Republic” in Berlin. Throughout her studies, she never lost this hands-on involvement and worked on two European cinema co-productions. “Anderswo” is the practical component of Marie’s post production management diploma. After finishing her degree in 2014, she would like to continue to be involved in the entire film-making process, from initial development to post production. Dirk Manthey has produced several documentaries and features, a. o. the shorts Motodrom (2006) and Der Prinz (2009), showcased at several international short film festivals, or Sound after the Storm, awarded best international documentary at the 2009 Zurich Film Festival. 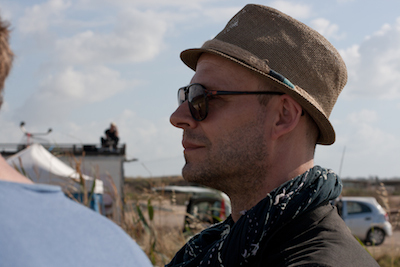 Since 1996, Dirk Manthey has also been working as a director for films like Zeit springt (1996), Taxi to Daydream (recipient of the First Jury Award at the 2007 Sao Paulo International Short Film Festival) or Schmuck der Straße (2010). In 2005, he also started working as a director for arte’s Kurzschluss Magazin, interspersed with a 2008/2009 lecturing stint at the Incine Film Academy in Quito, Ecuador, where he taught scenic work and visualization. Besides Anderswo, Dirk Manthey produced 3⁄4 (director: Maike Mia Höhne, supported by the FFHSH / Kuratorium junger deutscher Film). In 2014 the German/Ecuadorian/Argentinean feature film production Ochentaysiete, directed by Anahí Hoeneisen and Daniel Andrade, will have its release in cinemas. THE SOUND AFTER THE STORM / 2009 / director: S. Hill, R. Fenson-Hood, P. Soergel / Ventura Film Switzerland, Hillfilm, dirk manthey film / documentary / Award: best international Documentarfilm, Zürich / Film Festival 2009. University of Film and Television "Konrad Wolf"
Founded in 1954, the University of Film and Television “Konrad Wolf” (HFF) is not only Germany’s oldest, but also its largest and one of the country’s most modern film schools. Situated right in the heart of Babelsberg’s Media City and just a few steps away from the local film studios, the university offers a solid and thorough education in film, TV and new media via its twelve degree programmes. HFF’s institutionalised collaborative approach, manifested in countless of projects, complements the specialised trades and training – and sets it apart from other film academies. Here, the art of film-making continues to evolve thanks to on-going collective experimentation as well as traditional research and development in order to play a decisive part in shaping the future of moving image media, from technology to production. Every year, students complete around 170 (film-based) projects at the HFF. The university’s work graces more than 300 festivals in over 50 countries and wins numerous awards. Explore http://www.youtube.com/hffpotsdambabelsberg/ to view a steady stream of new trailers and movies for a small glimpse of the university’s creative output. “Anderswo” is one of the projects backed by the “Leuchtstoff” film initiative of Rundfunk Berlin-Brandenburg (rbb) and the Medienboard Berlin-Brandenburg. Together, these two institutions support feature film and documentary projects from or about the Berlin-Brandenburg region. 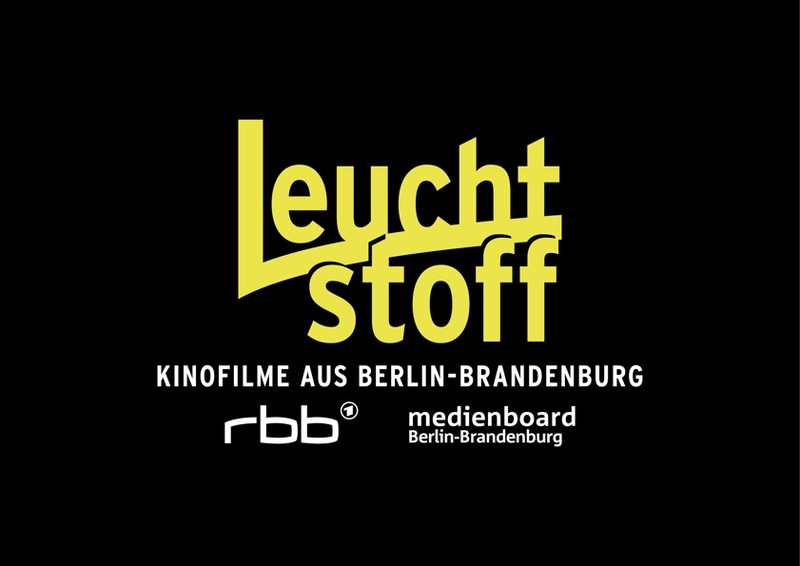 “Leuchtstoff – college films” lends a helping hand to graduate films by students from the two film schools in the catchment area: Berlin’s dffb and the Potsdam-based HFF "Konrad Wolf". For more information on the initiative, please access the website http://www.rbb-online.de/leuchtstoff/index.html . 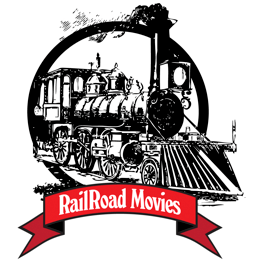 RailRoad Films is a Boutique Production house working in Israel and the Palestinian Territories.Producing films from scratch, as well as providing Production Services to a wide array of international clients, RailRoad Films curates, develops and produces storytelling mechanisms from the classic world. Currently focused on Print Publication and AudioVisual mediums, RailRoad Films is in Production with Margarita Balkalav's "Broom, and other Stories", a feature length film and in late stages of development with Ehab Tarabieh's "The Returning". Likewise, Rail Road films has recently purchased the rights to translate and publish the works of the late Polish writer Marek Hlasko in Israel. Helmed by Jonathan Doweck and Shalom Goodman, Railroad Films established its offices in the heart of the refugee district in Tel Aviv, "where the stories happen". 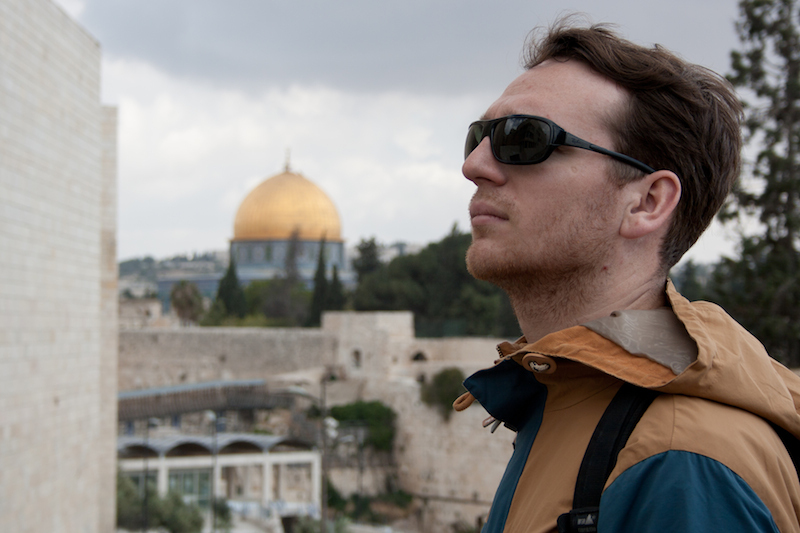 Both Jonathan and Shalom are also board members on the Board of Directors for the "Israeli Film Center" in Tel Aviv. Gil Alkabetz, Moshe Amrami,Sara Amrami, Marianne Bergmann, Kirsten Niehuus and Anja Dörken (Medienboard Berlin-Brandenburg), Eva Hubert, Katrin Mersmann and Marcella Däwers (Filmförderung Hamburg Schleswig-Holstein), Michal Levi, Ivan Anderson, David Sánchez Calvo, Oliver Bokern, Ingrid Gustafsson and to all the extras! Download our Anderswo - Anywhere Else presskit (4 MB, Language/Sprache:EN/DE). For more information please contact us under press@anderswo-film.com. The operators of this website reserve all rights to the published contents.